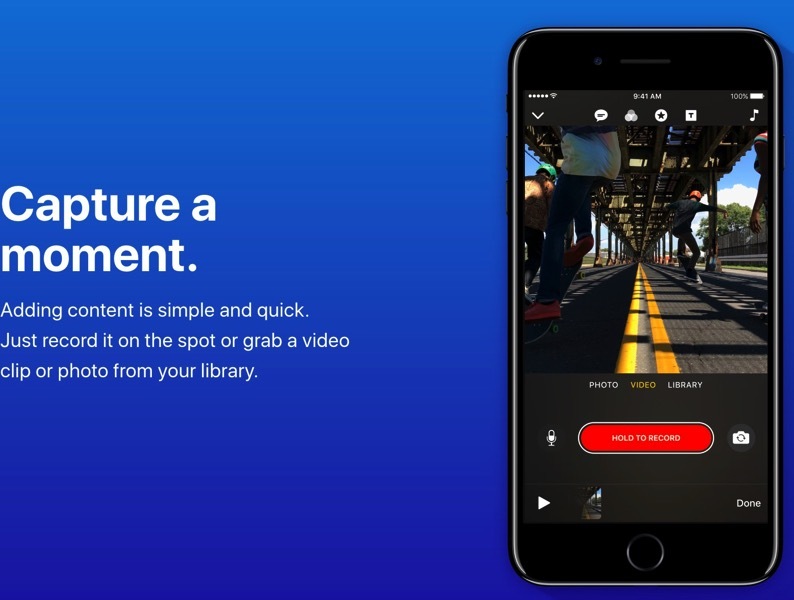 Apple today also announced a new iOS app called Clips which the company says is for “making and sharing fun videos with text, effects, graphics, and more,” coming soon for free in April. 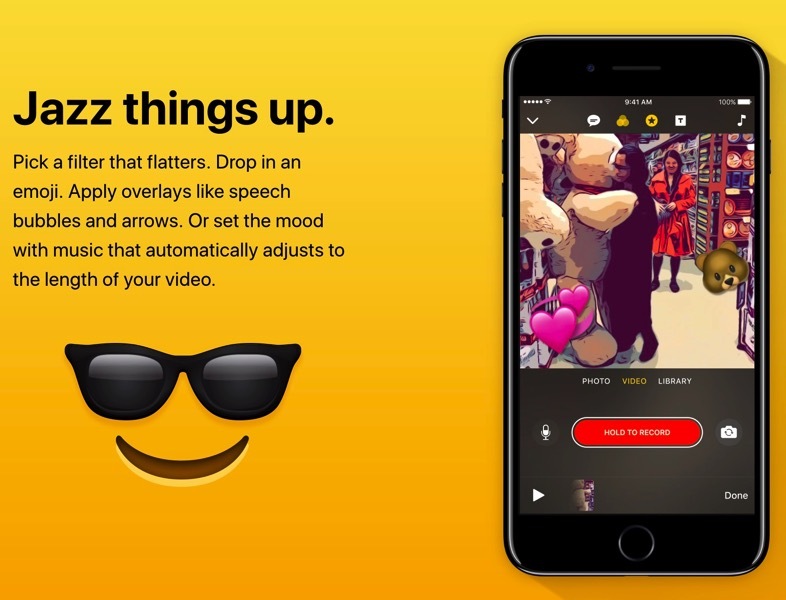 In what appears to be Apple’s reply to influence the Snapchat/Instagram/Facebook generation, Clips will allow users to share fun videos combining clips, photos and music with friends through the Messages app, or social networks such as Instagram, Facebook, Twitter, Vimeo and YouTube. 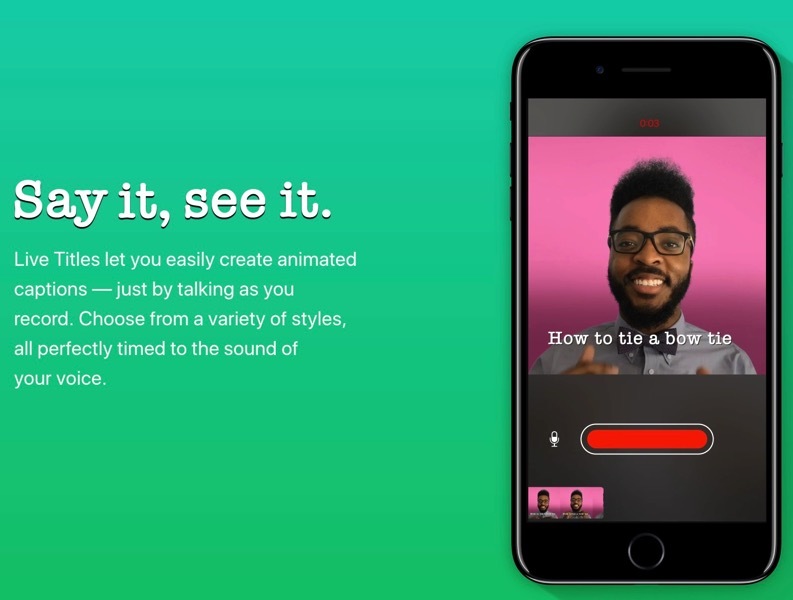 The app will debut what Apple calls Live Titles, which allows users to create animated captions and titles synced with their voice, supported in 36 different languages. This may change the way YouTube tutorials are made for DIY projects from an iOS device. Clips is meant to be a simple video creation app without complicated timelines, available to use with just a touch and hold of a single button to shoot live video or photos. 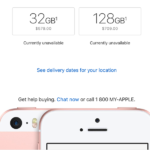 The app will come with dozens of music soundtracks, which automatically adjust to video lengths. There will also be artistic filters, speech bubbles, shapes or emoji available, plus full screen posters, animated backgrounds and customizable text. Clips will hit the App Store in April, requires iOS 10.3 and is compatible with iPhone 5s and later, the new 9.7-inch iPad, all iPad Air and iPad Pro models, iPad mini 2 and later, and iPod touch 6th generation. This is one product announcement today we didn’t hear any leaks about.